So … this happened. My wife and I decided to get tattoos for our ninth anniversary. Since we’re almost to our 10th, and since we recently discovered a local artist we like, we decided to make the appointment. The image, in case you don’t recognize it, is a quill. It pairs nicely with my wife’s inkwell. I told her that I love her even when she gets permanently taller, which didn’t seem to translate. After a night’s sleep, however, she seems to have come around, asking to see the ink and noting that she likes it. I love you! I love being forever changed with you! Now, let the flaming begin from all your readers that are in the “tattoo me too” camp. And yes, BTW Colby’s got some cool creations also of course. Hate tattoos, too .- but as long as they are not obligatory for everybody I can still admire the artwork done here – and so I will not flame you but agree with you. Incredibly well done ink! Lovely! I myself am tatted up quite a bit in recent years, it’s kind of addicting. 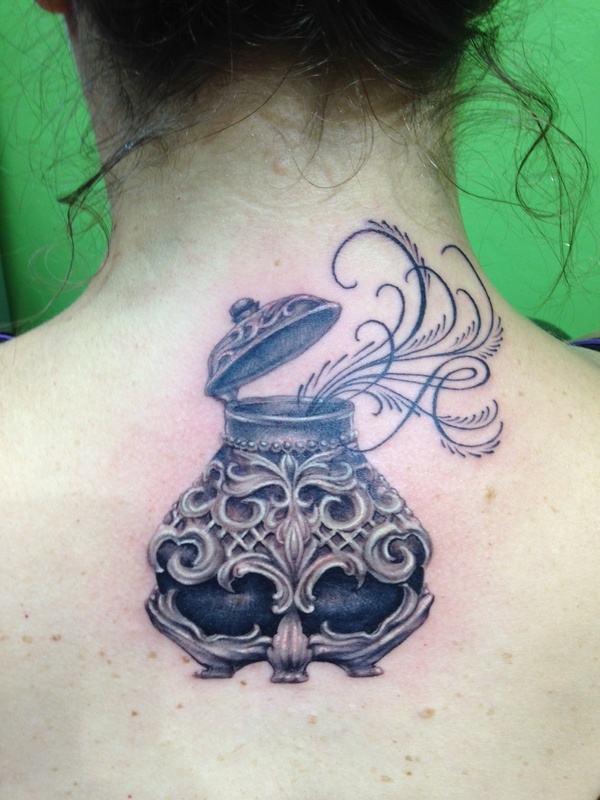 I really like the symbolism in your matching design, and the artist did an incredible job with the detail and toning. Wow! Oh dear. I’ve heard that they’re addicting—a point driven home by the fact that my wife now has her next three or four tattoos planned. Hah! I knew it! Good luck! We discussed this, right? 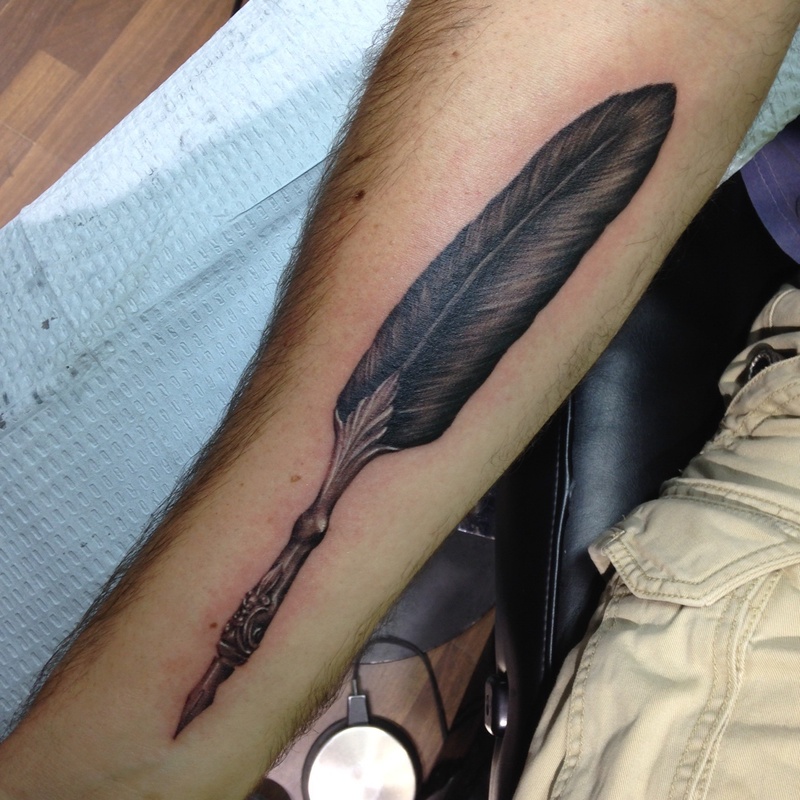 I’ve been wanting that same tattoo for years (but with a bit of color on the feather.) I’m pretty sure we’ve had this conversation, but whiskey.